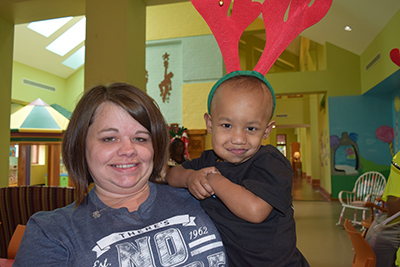 Korie, who turned 5 in July, is staying at Ronald McDonald House of Memphis with her mother Jenny. The pair is from Ottawa, IL. 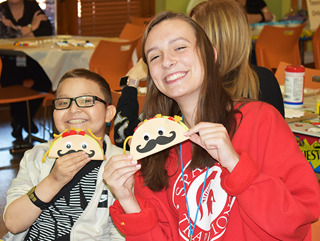 After headaches, vomiting, doctors’ visits, and then a diagnosis of Medulla Blastoma, the family landed at St. Jude at the end of March. 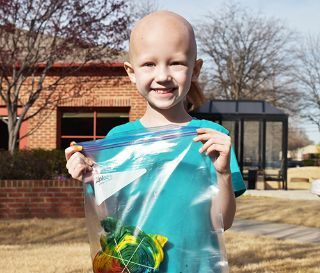 Korie really likes Ronald McDonald House especially Miss Sherri, the candy bowl, the mailboxes, and the pantry. She also enjoys painting and crafts. Jenny tells a great story about southern hospitality. “We went home for a week (to Illinois) and we flew out of Memphis – everybody was so sweet here – in the airport some lady bought Korie a coloring book. Then, we get back to Chicago and everyone has their head down, and nobody says anything to us. We had come from Memphis where people say “hi” and ‘good morning’ to everybody. Supergirl came and recruited another supergirl at our Parents Night In! 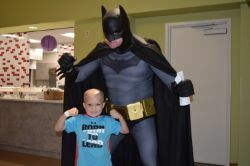 Batman was flying around, too, as they helped lead our two scavenger hunt teams! Parents enjoyed trivia by themselves with great prizes and everyone had a fabulous Mulan Asian Bistro dinner! It was a circus down here at the RMH! UniverSoul Circus, that is! 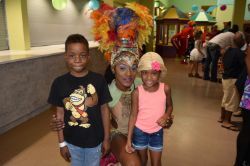 Our families were treated to some private performances from the cast of the UniverSoul Circus! Dancers, acrobats, cultural music from the islands. It was a scene under the RMH Bigtop!! 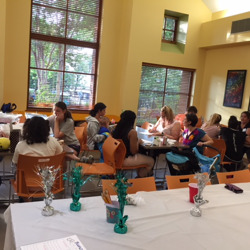 On July 12th, we hosted our monthly parents night in event. 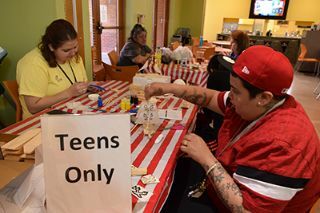 The children were treated to crafts and also a performance by Cazateatro Bilingual Theatre Group and Alexis White. The parents played a competitive game of Bunco. 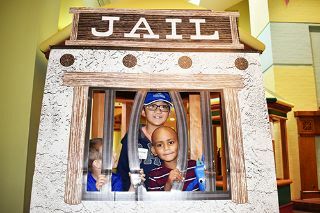 The parent events are usually centered around connecting with other parents and expanding their support systems. Heart & Soul Caterer provided a nutritious and delicious meal to go along with the activities. Thanks to Luz Vargas and Jan Helton for planning such a great event.